Enjoy real white cedar that is grown in the United States. Fireside Lodge has a steady understanding of what makes the cozy, log cabin lodge aesthetic tick. First and foremost is the luster of the presentation of the wood. Cedar wood is one of the longest standing and most luxurious American woods used in lodges, log cabins, western settings and dens everywhere. Sometimes, cedar wood is worked and sanded until the original beauty of the cedar wood is lost. The cedar used by Fireside is cultivated in renewable US forests and is left to shine in the natural way. Traditional cedar has a straight grain with a fine, even texture and natural luster. 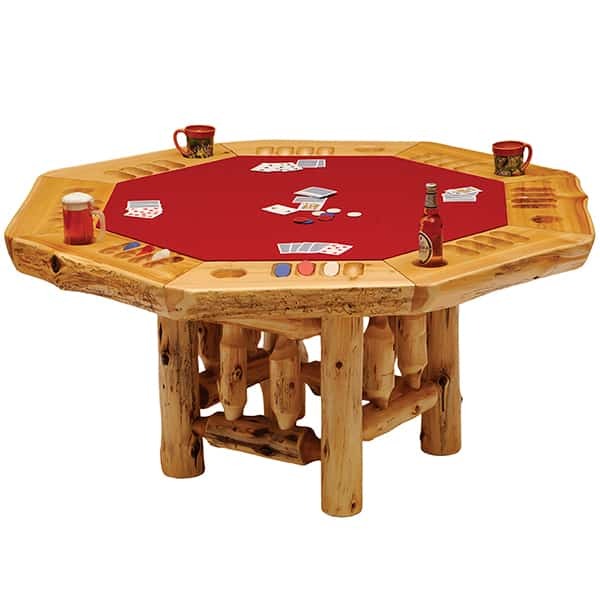 It is one of the softest woods grown in America, and this poker table with a dining top option shines because the cedar is presented in all of its natural glory. 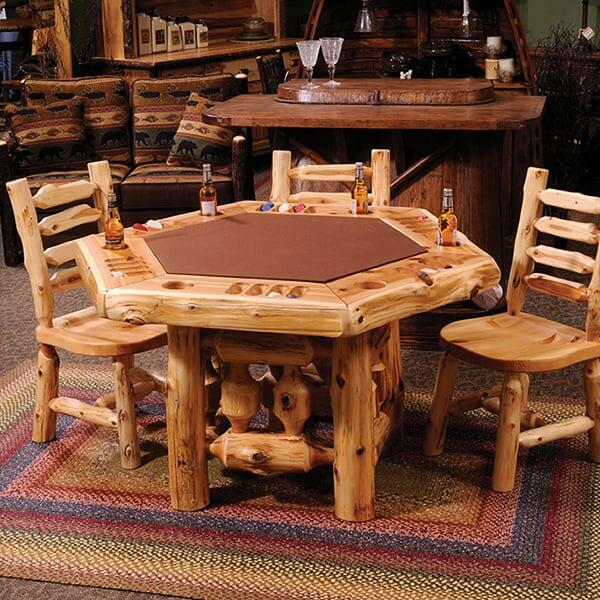 The poker table is fully functional and the cedar top is optional. 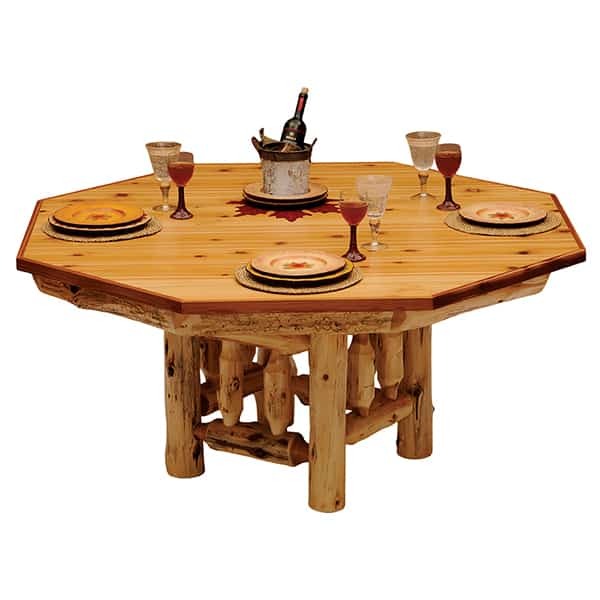 When added, it transforms the cedar wood poker table into a six sided dining table.